Chronologically, Moving Still begins in the major Indian cities of Bombay (Mumbai), Calcutta (Kolkata) and Madras, where the French-invented camera and its photographs were first discussed and exhibited. Key practitioners include Sawai Ram Singh II, the maharaja of Jaipur from 1835 to 1880, also known as India’s fi rst “Photographer Prince.” Another is Umrao Singh Sher-Gil, whose self-portraits feature a solitary (if not symbolist) figure engaged in interior spiritual activities like reading, writing and yoga, what historians have referred to as an early attempt at promoting a distinct international Indian subject. 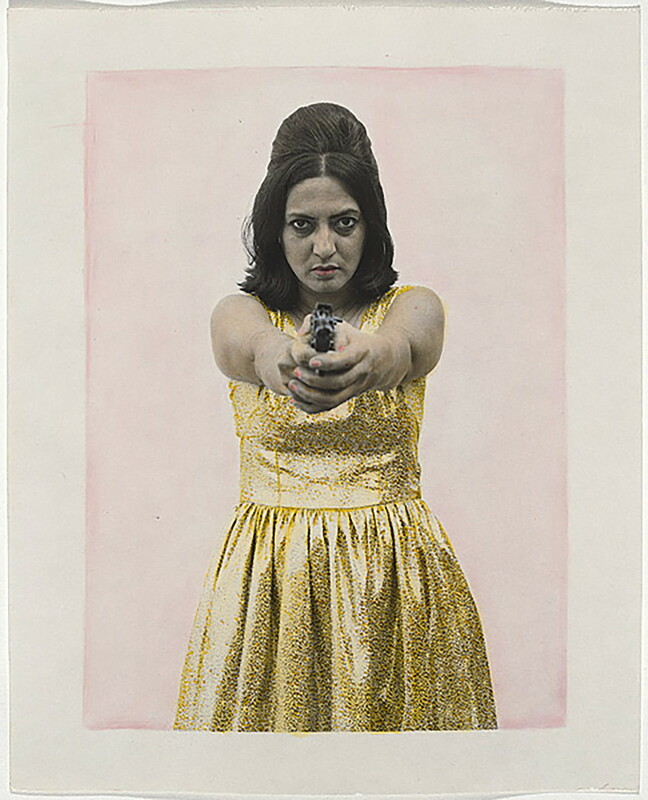 More recently, the exhibition highlights the work of Vivan Sundaram, the grandson of Umrao Singh Sher-Gil, who digitized and montaged his grandfather’s photo archive to create an alternative family history; Pushpamala N, whose photo series Sunhere Sapne (Golden Dreams) (1998) revolves around the artist as a stereotypical middle-class housewife and her fantasy alter-ego (a wealthy socialite) in a parody of the post-independence Indian family; and Sunil Gupta, whose Sun City (2011) follows the life of an HIV-positive gay man and the personal and political implications he experienced while living between England and India.